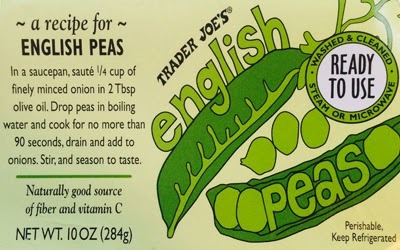 I'm starting to get in a springtime mood and was excited to see fresh English peas available again at Trader Joe's this week. My first thought was to make risotto, but my mind quickly switched to soup and I'm glad it did - the result was delicious! This recipe is super easy and quick to make. It would be great for any upcoming St. Patty's Day events as well. Enjoy! In a medium dutch oven or soup pot, heat olive oil over medium high heat and add onion. Sauté until onions are translucent, approx 5 minutes. Add English peas and cook until tender, approx 2 minutes. Remove from heat and stir in salt, pepper and chopped mint. Blend soup until smooth with a hand blender or regular blender. If soup is too thick, add more chicken stock and blend to the desired consistency. Serve with a dollop of greek yogurt and a sprinkle of chopped mint. Enjoy! If you can't find fresh peas, you can substitute with frozen. 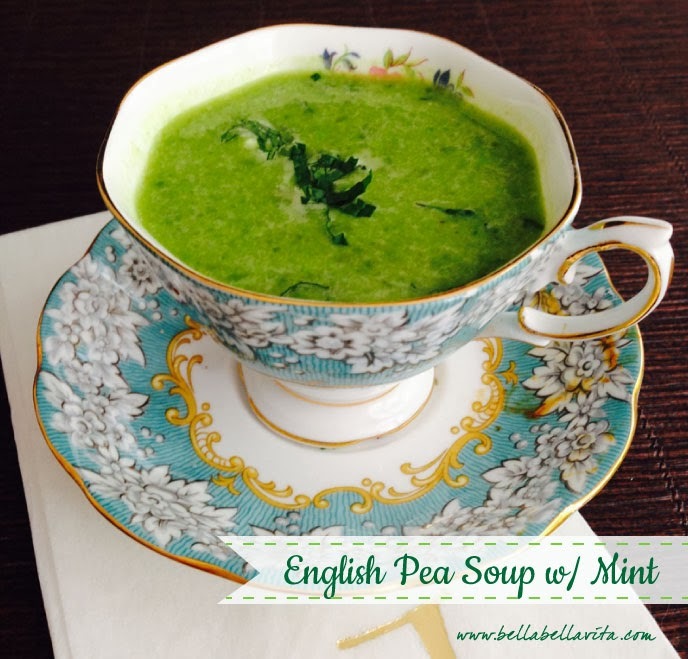 I recommend using sweet peas if you can't find frozen English peas.